On the day of China's Double-Eleven Single's Day And Shopping Carnival Festival (we abbreviate it CDESDASCF), Luuv Label are bringing in five Japanese indie bands of different characteristics to the young men and women in the city. If you are tired of the spiritual emptiness of "buy, buy, buy", or you're looking for an unconventional music festival to compensate for your depressing singledom or overtime work, this is your go-to. 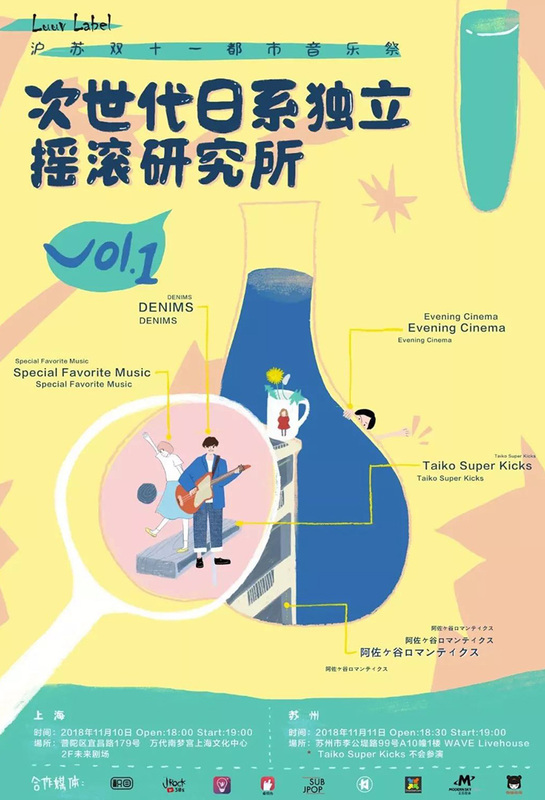 Taiko Super Kids, Special Favorite Music, Evening Cinema, Denims and Asagaya Romantics, transforming Bandai Namco Shanghai into a gallery of soulful and achingly sincere young bands.